I mean I had written out my packing list, I had gone shopping and I had been collecting all the things I was planning to pack. I simply used my backpack as storage for these items. When I say ‘used my backpack as storage’ I literally mean, I threw stuff in as I acquired it. I just didn’t really try actually folding and packing everything until the morning of. Oops. Since I was packing the morning of my departure, it was an ‘as is’ situation. For example, I couldn’t find my adaptor for Argentine voltage. Would need to put a converter on the packing list. 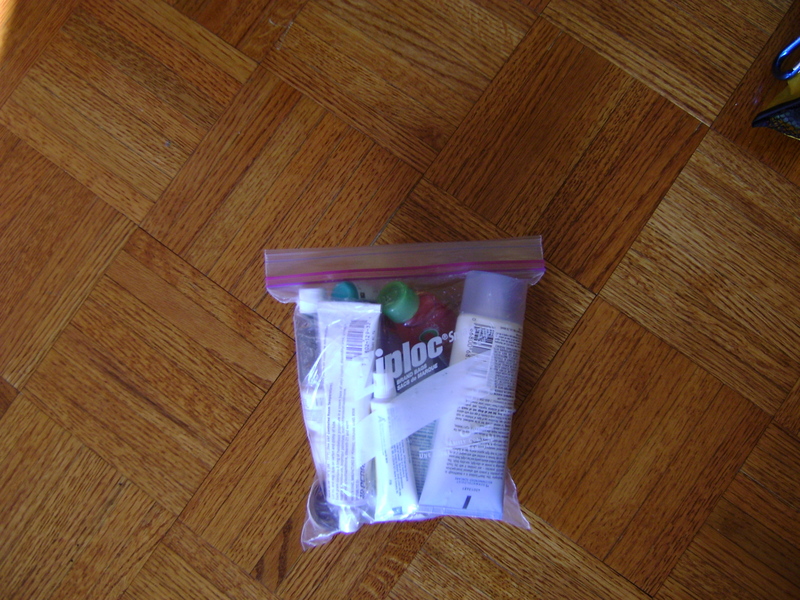 Could every back up toiletry fit in my quart-size Ziploc bag since I did not want to check my bag? Of course not. Did I forget my toothbrush because I was so crazed the morning of? Yup. What about the cord to upload photos from your camera to your computer? You guessed it, I forgot that too. In retrospect, did I really need those toiletries I left behind? Nope. There are <gasp> stores that sell similar products at a quarter of the price in every country I visited in South America. 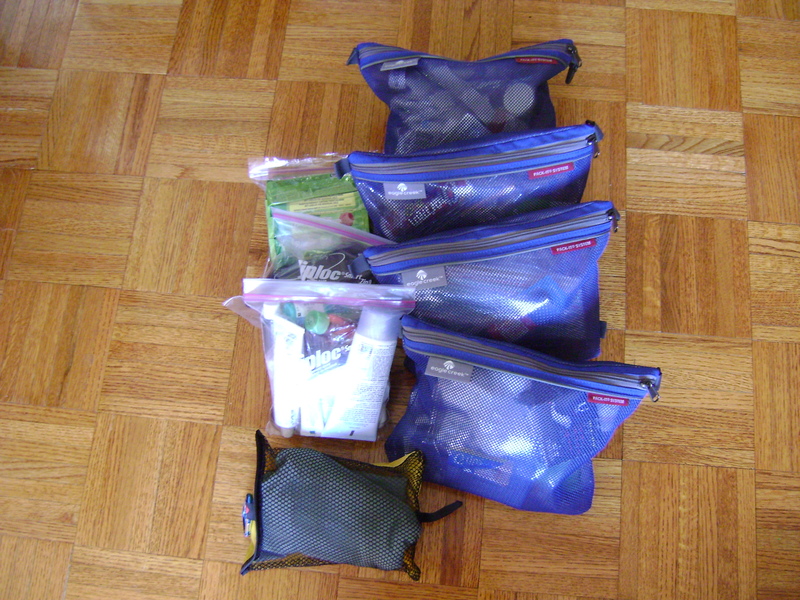 I know I have shared some of my personal tips on packing. I pride myself on being a good packer, and when I am not, I recognize it. On the flip side, my sister is one of the worst packers. EVER. 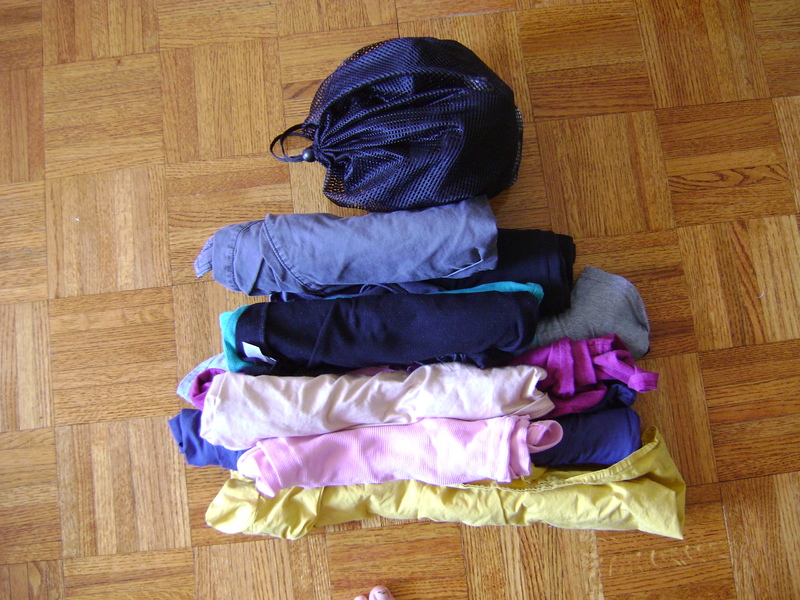 As I packed on Thursday night for my weekend, I thought about my sister, and her packing prowess…NOT!! I thought, what would she pack for two nights away from home? Even as kids she over packed. She was like a little bag lady. On long car rides, I’d use the seat belt to create a border as her side and my side. Her stuff couldn’t cross. And it always did. I traveled with a book and a Walkman with a few cassette tapes (remember those?). Back then she packed stuffed animals, pillows and toys and games and who the heck knows what. She also was given less leg room for storage. As the older sister, I always sat in the seat behind my mom. My short (er, she’s taller than me) mom. I ensured my sister sat behind my dad, my 6 foot + dad. Since my dad did most of the driving, he needed to be comfortable, and to do that his seat was pushed pretty far back, limiting my sisters leg room. This should have been a good thing, limiting her ‘carry on’ possessions. Alas, she found every possible corner to stuff some crap into. Pack, and travel, lightly. You can buy what you need. And what you think you can’t easily replace (glasses, prescription medicine), be sure you pack it! Caveat: I have never traveled extensively with children, except when I was one. I’m sure this changes things up a bit. So parents, do tell. What’s the craziest thing you, or your child, ever wanted to bring on a trip? 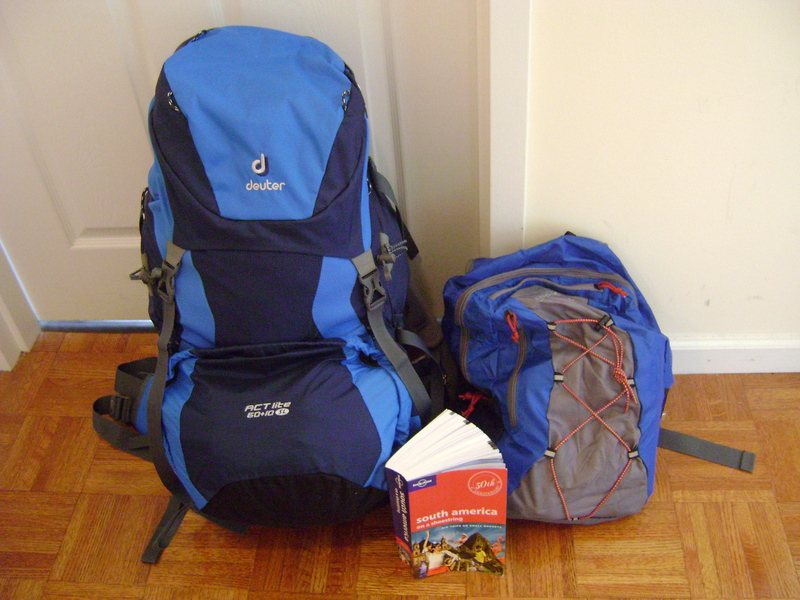 Everyone usually thinks about packing for the destination. While that is true, you want to be comfortable on the journey there. Typically for flights under three hours, I don’t really care because that’s just an easy hop. It’s when you are in that plane for longer than two movies, where you want to be comfortable. I have two different kinds, one you can blow up – which ultimately takes up less room, and a Smarter Image one. Whatever you do, don’t pack a full size pillow from your bed. I have one chance, and usually one chance only, to fall asleep on a plane. You’ll need to get a prescription from your doctor. While the doctor would probably not advocate using alcohol, a glass of wine before boarding, usually helps with zonking out for a bit. For flights longer than three hours, I wear leggings, a soft tee-shirt and a hoodie sweatshirt. 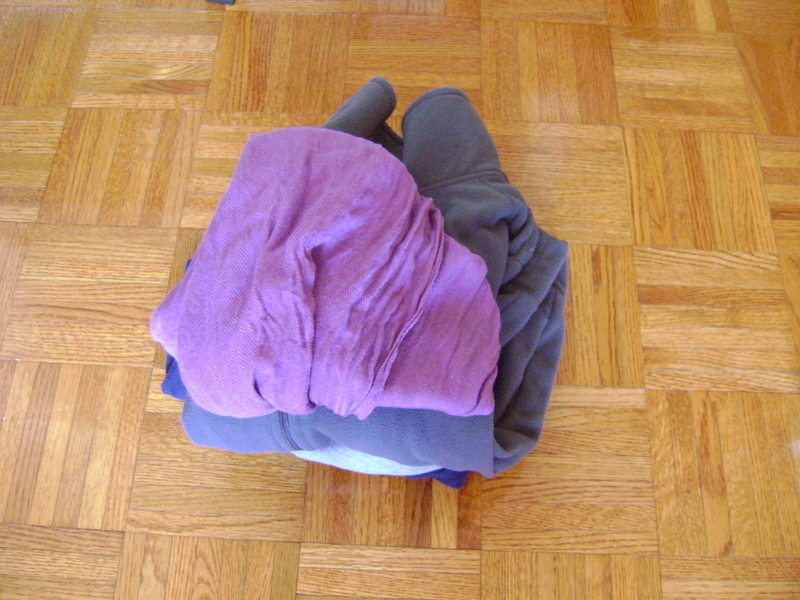 I also pack a scarf and depending on how long the flight – a long wrap sweater – it can be used as a blanket. 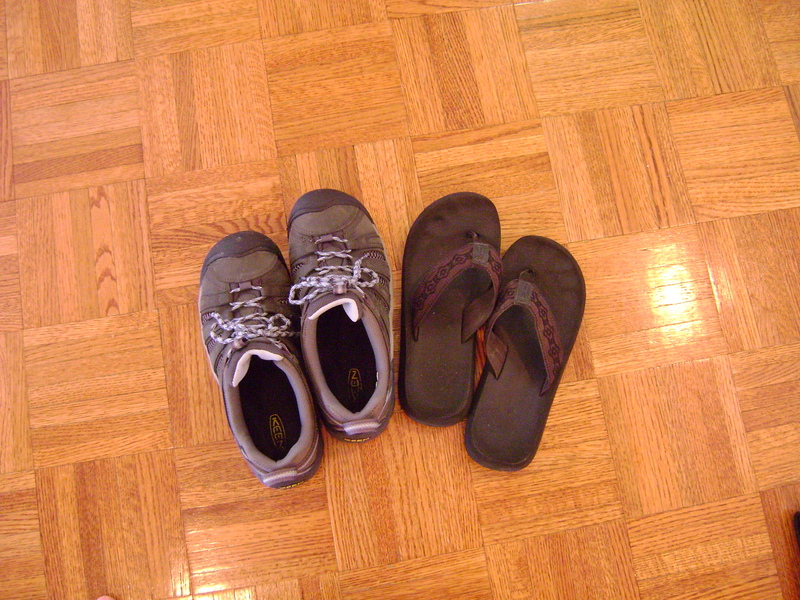 In the summer I travel in flip-flops. Truth be told, flops are probably not the best choice of footwear. Should you need to evacuate the plane, flops are probably not what you want on your feet. 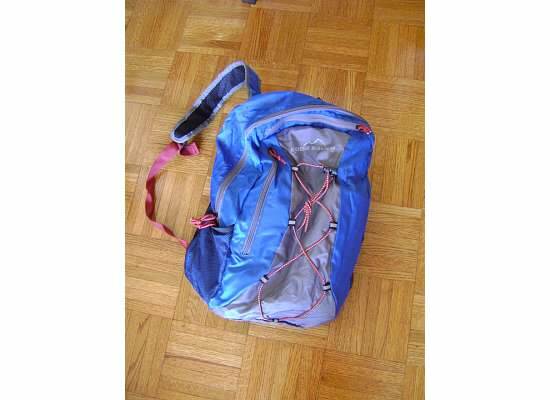 If I’m adventure traveling, I will keep on a pair of hiking boots or my Keens because those would be the bulkiest shoes in the bag. 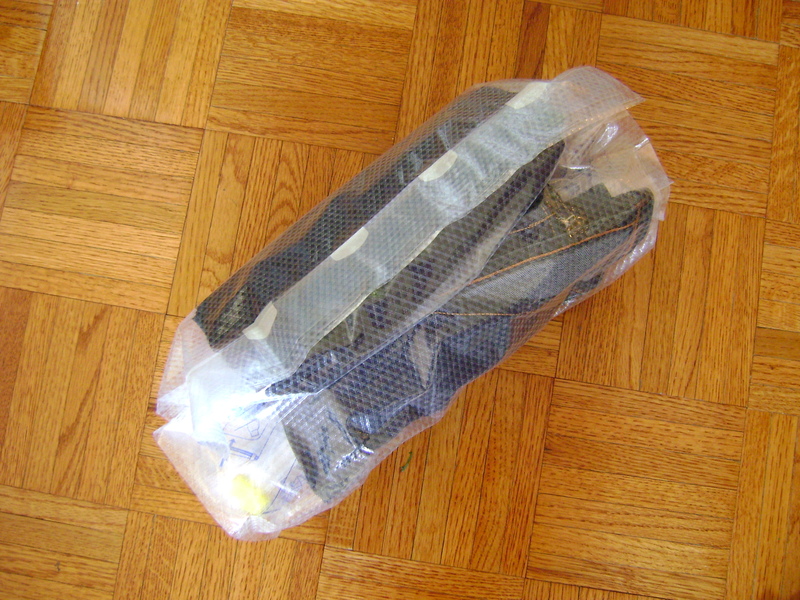 And because I don’t usually check any bags, wearing those bulky shoes tends to lighten up what I am carrying. Always. My feet always get cold. Always. I always carry it but especially on flights. Have you ever seen an airplane bathroom? Even after I wash my hands in that gross place, I come back to my seat and squirt a few drops again. Not only does this enable you to enjoy your own music, but you can listen to the airplane music selections at your seat. Anything in your ears works really well if you have a chatty seatmate or if you are seated near a barking dog. If you have any tips, share them in the comments section below.